From sweet jazz sounds in the park on a summer evening, to drama and comedy presented by a community theater group, Kewanee offers plenty of opportunities for cultural enrichment. The expanded and renovated Petersen Auditorium at Kewanee High School gives the community a first-rate facility for plays, concerts and other events. 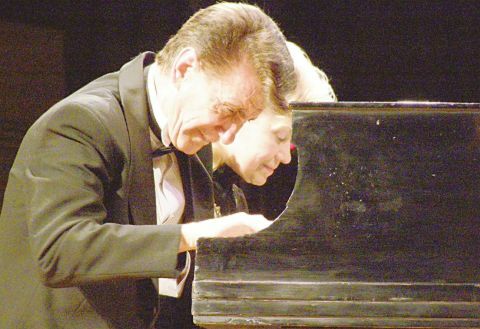 From country stars like Suzy Bogguss, to Big Band and classical performers, the auditorium has hosted a number of evenings of special entertainment. Black Hawk College - East Campus, also has an auditorium, which is used during the day for classes but in the evenings is an entertainment venue. Each spring and fall, the Black Hawk Community Players present live theater in the auditorium. A gazebo donated to the city several years ago by the Star Courier, Kewanee�s daily newspaper, serves as a bandstand on Thursday evenings in the summer, as the Chamber of Commerce and other sponsors bring a series of musical performers to town. Visitors bring lawn chairs or blankets and sit under the trees in Veterans Park to hear the music. Black Hawk�s Community Arts Council also sponsors the Black Hawk Community Choir, a 40-voice group that performs Christmas concert and spring concerts. The Chamber of Commerce has also organized a community band, which gives several performances each summer. The Kewanee Public Library also offers entertainment possibilities. Built in the early 1900s as a Carnegie library, the facility was recently expanded and remodeled. The library also hosts entertainment events from time to time for children and for adults. In the fall, the National Stearman Association includes the Kewanee Municipal Airport on the schedule for its annual national fly-in. 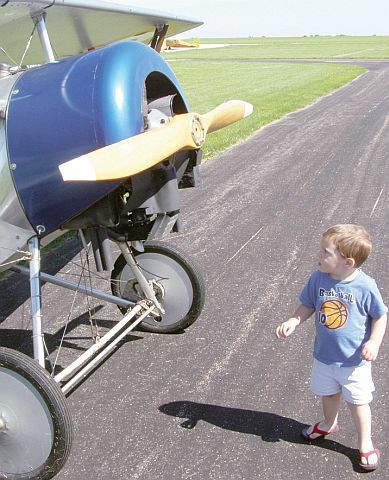 Dozens of the brightly-colored pre-World War II biplanes come to Kewanee on that day, and the public gets a chance to see the planes in action. The airport also hosts the Midwest Aeronca fly-in, which brings dozens of the vintage two-seater lightplanes to Kewanee in May. Also within easy driving distance are zoos, civic centers, museums, symphonies and an IMAX theatre.